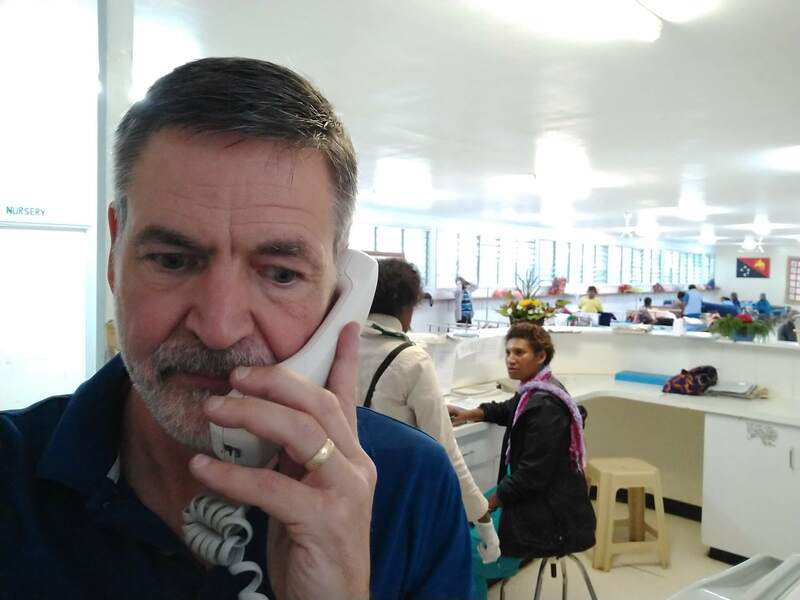 In addition to the ministry facilities and offices, the mission station houses both missionaries and hospital staff and families. More than 1,600 people live on the mission station. With this many people and ministries, there are always technology needs. Justin Miller has been serving as the Melanesia – South Pacific Field Technology Coordinator for the last year. He has been working with local staff to maintain and improve existing technology as well as provide new, sustainable technology solutions to help with daily operations. 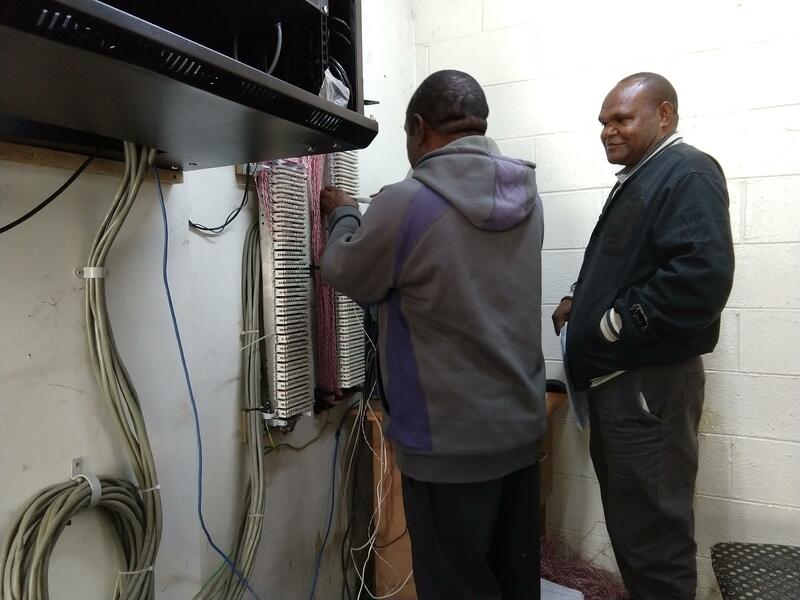 Recently, the nearly 20-year-old telephone system needed to be replaced. It had reached “end-of-life” many years ago, and sources for used parts were drying up. This old system was used for “local” on-station calling only, but was crucial for communication across the station, utilizing 115 extensions across 77 buildings. Working with Josh Williams and Brad Firestone from Global IT, plans were made to replace the system with an open source Voice over IP solution. Justin, along with local team members Michael and Martin, worked to audit existing extensions and create the configuration for the new system. Brad was able to be onsite for the final configuration and switch over. Things went amazingly smoothly with only a few minor unexpected surprises. “New” features of the system include voicemail, caller ID, call waiting, and the ability to use a GSM gateway to connect with the rest of the global telephone network. The GSM gateway connection provides a way for on-call doctors to be reached via cell-phone rather than just landline extensions. This allows freedom for the doctors to move beyond their homes throughout the station community even while on-call. Justin has also developed a Point Of Sale system for use in the small store located on station. There are plans to use this same technology in the hospital for patient services. With approximately 60,000 patients annually, this system will help the hospital better track the services provided, as well as help with financial accounting. A related system is also being used for budget management/payroll of the current three-year hospital expansion project. Michael and Martin working on the system. 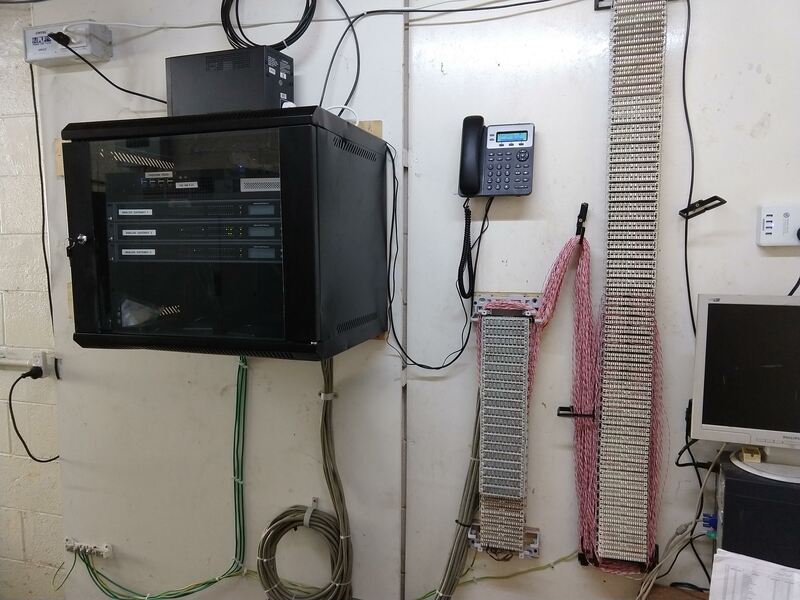 The completed new phone system.